Summer on the east coast is a lot different from summer on the west coast. 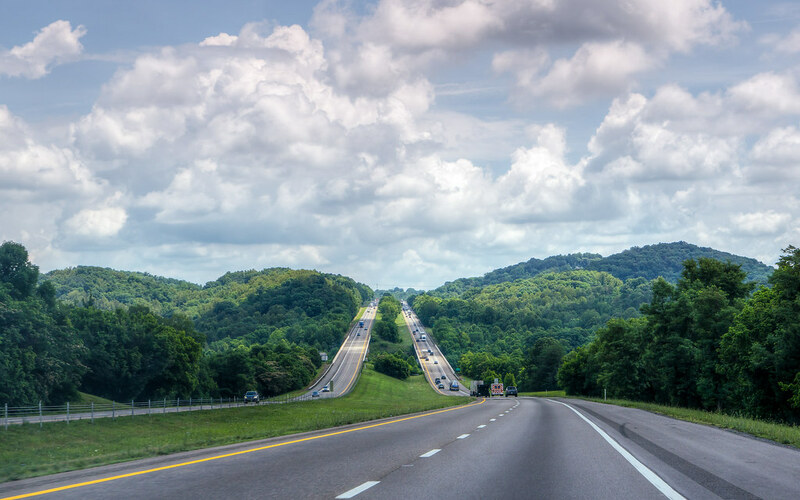 While traveling through the tri-cities area of Tennessee I was floored by how verdant the landscape was at a time of year that the west coast is generally a virtual desert. I definitely took this through a windshield! If you look really closely you can make out some of the reflections, though I did my best to eliminate them. OK. I see it now. The thought of standing on the interstate gave me an immediate chill. Excellent shot!